Need more information about booking Home 7325102 ? This spacious and fully furnished apartment is for two people. 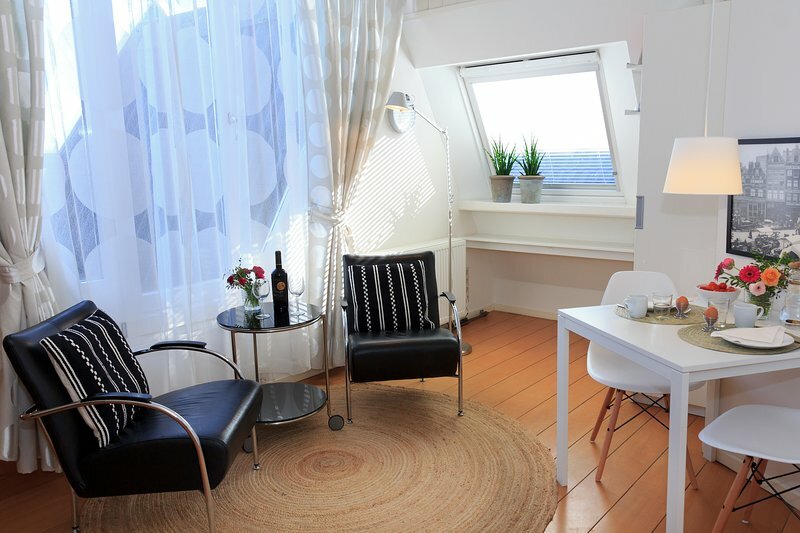 The waterfront apartment is tastefully furnished and has a kitchenette, e bathroom (with shower and toilet), ADSL connection and cable TV. The waterfront room has its own entrance and doorbell. There is a sitting area with TV (and DVD player), a small dining table and two chairs, and a double bed. The bed has two down duvets. If needed another single bed or baby bed can be installed. There is also a spacious wardrobe. This apartment has a shower and toilet in the bathroom. There is also a small roof terrace.